1.1 Only Believers Can Understand Spiritual Truth. Paul emphasized that only believers, that is, spiritual people born again by faith in Christ Jesus, can accept the things of the Spirit, because they are spiritually appraised. Unbelievers simply treat all things taught by the Spirit as foolishness, and they are incapable of receiving the things taught by the Spirit (1 Corinthians 1:14-16, page 1784). 1.2 Jesus and the Mysteries of the Kingdom. Jesus also drew a distinction between the disciples and the crowds: the disciples had been given to know the mysteries of the kingdom of God, but the crowds were only taught in parables (Mark 4:11-12, page 1563; Luke 8:10, page 1612). I understand that in some sense, all the mysteries pertain to the kingdom of God, and we will review the particular mysteries revealed in the New Testament below. 1.3 Mysteries and the Spiritual Gift of the Word of Wisdom. So far, we should understand that the Holy Spirit reveals mysteries to spiritually mature believers through the preaching of the apostles and prophets in the New Testament. At Corinth, Paul preached the mystery of God (1 Corinthians 2:1, page 1783). Paul also described The Spiritual Gift of the Word of Wisdom, directly to the wisdom of God and the preaching of Paul at Corinth. The Spiritual Gift of the Word of Wisdom concerns divine revelation of something new and previously hidden. It also involves communicating now that new wisdom hidden from prior generations. Indeed, Paul emphasized that Paul, Sosthenes, Apollos and Cephas should be regarded as servants of Christ and stewards of the mysteries of the God (1 Corinthians 4:1, page 1785). The New Testament reveals several mysteries through the preaching and teaching of the prophets and apostles. 2.1 The Definition of the Term “Mystery.” The root term for “mystery” occurs in the following passages: Matthew 13:11, page 1522; Mark 4:11, page 1563; Luke 8:10, page 1612; Romans 11:25,page 1774; 16:25, page 1781; 1 Corinthians 2:1 (manuscript? ), page 1783, 4:1, page 1785, 13:2, pages 1797-1798, 14:2, page 1798, 15:51, page 1802; Ephesians 1:9, page 1827, 3:3, page 1829, 3:4, page 1829, 3:9, page 1829, 5:32, page 1833, 6:19, page 1834; Colossians 1:26, page 1842, 1:27, page 1842, 2:2, page 1842, 4:3, page 1845; 2 Thessalonians 2:7, page 1852; 1 Timothy 3:9, page 1856, 3:16, pages 1856-1857; Revelation 1:20, page 1915; 10:7, page 1925, 17:7, pages 1933-1934). In Romans 16:25-27, page 1781, Paul defined the term “mystery.” He identified several important elements of a mystery. Briefly, the term “mystery” means: (a) something kept secret for long ages past, (b) but now revealed (c) to the apostles and prophets of the New Testament, (d) all according to the wisdom of God. We will examine those elements more closely below. Some people argue that Paul used the term “mysteries” (“μυστήρια”) in 1 Corinthians 14:2, page 1798, differently from every other time he used the term. In fact, every other occurrence of the term “mystery” in the New Testament always has the same meaning, something hidden in the past, but now revealed at the right time by the wisdom of God. Those people who argue for a difference in 1 Corinthians 14:2, page 1978 suggest that the context there requires a unique meaning there. Yet, the context concerns tongues and prophecy and how they differ from each other. Prophecy edifies the church. In contrast, the use of tongues does not speak to men, for no one understands; in spirit, he speaks mysteries. So, the context supports the same meaning of the term “mysteries” as used in every other place in the New Testament. Also, the plural “mysteries” suggests that many mysteries form the varied substance of the tongues message. So, speaking in tongues does not produce an unknowable substance, but rather tongues reveal mysteries. 2.2 Mystery: Always a Revelation from God. In Romans 16:25, page 1781, Paul explained that a mystery (“μυστηρίου”) involves the revelation (“ἀποκάλυψιν“) of God, and that revelation cradled Paul’s preaching of the gospel and his preaching of Jesus Christ. 2.3 Mystery: Something Kept Secret for Long Ages Past. A mystery always concerns something that has been “kept secret for long ages past” (Romans 16:25, page 1781–“χρόνοιςαἰωνίοις σεσιγημένου“). A mystery always involves new revelation from God, with the same authority of the Old Testament Scripture. 2.4 Mystery: Now Manifested. While some people think a mystery means something hidden, actually a mystery in the New Testament means something now manifested (“φανερωθέντος”). Notice too that “the Scriptures of the prophets” God used to manifest the mysteries. Just as Peter wrote about Paul, God used the Scriptures of the New Testament prophets and the apostles (Ephesians 3:6, page 1829) to manifest the mysteries (Romans 16:26, page 1781). 2.5 Mystery: Command of God. God commanded that the mystery has been made known to all the nations, leading to the obedience of faith (Romans 11:26, page 1781). God determined both the time and the manner of the manifestation of the mystery. 2.6 Mystery: Obedience of faith. God intended for the New Testament manifestation of the mystery to lead to the obedience of faith. God purposed to produce obedience of faith by means of the mystery. In other words, God revealed specific truths hidden in the past for the New Testament salvation of those who believed the mystery and lived in obedience of faith (Romans 16:26, page 1781). 2.7 Mystery: The Only Wise God. Paul again linked the term mystery to “the only wise God” (Romans 16:27, page 1781). The wisdom of God controls all aspects of special revelation, including the timing, manner, and content of the revelation. Men foolishly tend to worship creatures, rather than accept the revelation of God and worship the only wise God. 3. Paul and the Mystery of God. At Corinth, Paul lived with them in weakness and in fear and in much trembling (1 Corinthians 1:3, page 1783). He did not come to them according to superiority of speech or of wisdom (“καθ’ ὑπεροχὴν λόγου ἢ σοφίας“), proclaiming (“καταγγέλλων”) the mystery of God (“τὸ μυστήριον τοῦ θεοῦ“) (1 Corinthians 2:1,page 1783). Paul proclaimed nothing among them, except Jesus Christ, and Him crucified (1 Corinthians 2:2, page 1783). Therefore, the mystery of God reflects the preaching of Christ crucified to the Gentiles. 4. The Spiritual Gift of Tongues. Paul declared that a believer who prophecies speaks to men for edification and exhortation and consolation (1 Corinthians 14:3, page 1798). In contrast, the believer who speaks in a tongue does not speak to men but to God; for no one understands, but in his spirit he speaks mysteries (“λαλεῖ μυστήρια“) (1 Corinthians 14:2, page 1798). Please take notice that the content of speaking in tongues is a mystery, a revelation by God’s wisdom of something today that was hidden in the past. The revelatory character of the “mystery” distinguishes The Spiritual Gift of Tongues from The Spiritual Gift of Prophecy which may include proclaiming a mystery, but The Spiritual Gift of Tongues always includes proclaiming a mystery. The primary difference between those gifts is that prophesying edifies men, while speaking in a tongue only edifies only the speaker (1 Corinthians 14:4, page 1798). Furthermore, tongues are for a sign to unbelievers, but prophecy is a sign to believers (1 Corinthians 14:22, page 1799). 5. The Relationship of Mysteries to the Word of Wisdom. So, we may see that God used the spiritual gift of the Word of Wisdom to communicate the mysteries of the New Testament. God communicated those mysteries through the apostles and prophets to the early church, to our glory (even the Old Testament prophets eagerly sought to understand what person or time the Spirit of Christ within them was indicating as He predicted the sufferings of Christ and the glories to follow–1 Peter 1:10-11, page 1894; those prophets served us, the church age believers, and even angels longed to look into these things–1 Peter 1:12, page 1894). Now let us look briefly at some of the mysteries communicated by the Word of Wisdom. 6.1 The Mystery of the Partial Hardening Jewish Hearts. To the Romans, Paul explained the mystery of the partial hardening of the hearts of the Jews. The Jews had crucified the Lord of Glory, and had rejected the Messiah and His Kingdom. Paul then placed their partial hardening of heart into the larger plan of God. Over three chapters, Romans 9:1, page 1770 through Romans 11:36, page 1775, Paul expounded this mystery of the partial hardening of Israel, resulting in the time of the Gentiles (and their salvation), to fulfill the greater purposes of God. 6.1.1 Never Be Wise in Your Own Estimation. Paul developed the relationship of the Gentiles to Israel and explained that God communicated wisdom to dispel ignorance of God’s plans concerning Israel and their partial hardening of heart. God did not want anyone to be wise in their own estimation or uniformed concerning the partial hardening of the people of Israel after Messiah suffered, died and was raised from the dead (Romans 11:25, page 1774). 6.1.2 The Larger View of God’s Plan for Israel. Paul explained that God’s plan for the period of the partial hardening of Israel started with Israel’s rejection of the Messiah and His crucifixion and ends with His return in the clouds (1 Thessalonians 4:13-18, page 1849-1850). The Gentiles and the whole population of earth then will fall under the severe judgments of God for seven years, and experience tribulation (Matthew 24:1-51; Revelation 5:1, page 1919-19:21, page 1938). Near the end of the Tribulation, Israel will look upon Christ Whom they pierced (Zechariah 12:10, page 1491), and will as a nation turn to Christ and experience the blessings of the New Covenant (Jeremiah 31:27-34, page 1238), with Christ ruling the earth in His millennial kingdom (Revelation 20:1-3, page 1938). Notice particularly Romans 11:33, page 1775, where Paul linked up this revelation to the wisdom and knowledge of God. Remember, both of those spiritual gifts (the Word of Wisdom and the Word of Knowledge) are of the same type of gift. They are both gifts of revelation from God. 6. The Mystery of the Resurrection. To the Corinthians, Paul explained the mystery of the resurrection of all believers (1 Corinthians 15:1-58, page 1800-1803). By means of the Word of Wisdom, Paul received this new and broader revelation of resurrection, mentioned in the Old Testament (for example, Daniel 12:2, page 1411), but not fully developed until God revealed it to Paul, and the Apostles and Prophets of the New Testament preached it to the church. 7. The Mystery of God’s Will. To the Ephesians, Paul declared that in all wisdom and insight (“φρονήσει”) God made known to us the mystery of His will, so that we would understand the “administration suitable to the fullness of times, that is, the summing up of all things in Christ, things in the heavens and things on the earth” (Ephesians 1:8-10, page 1827). This sweeping revelation allows us not only to know about the redemption we have in Christ, but also the outworking of the plan of God for the Church and His people. God’s will controls history and brings history to God’s intended destinations. 8. The Mystery of the Gentiles. Also to the Ephesians, Paul described the mystery that Gentiles are fellow heirs and fellow members of the body of Christ, and fellow partakers of the promise of Christ Jesus through the gospel (Ephesians 3:3-6, page 1829). We see that God now reveals the participation and role of the Gentiles in the program of God. 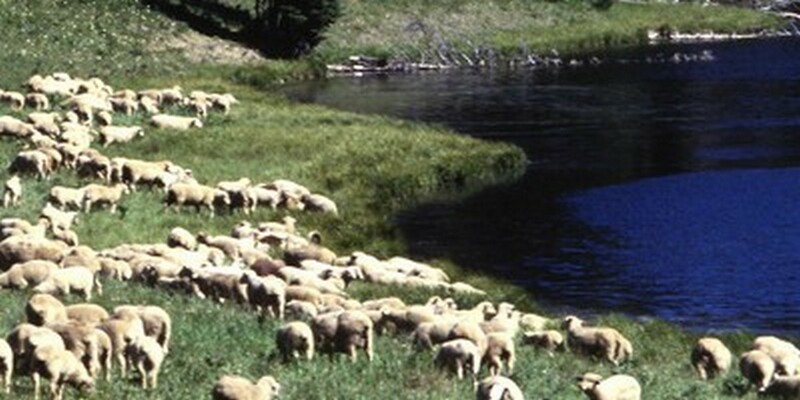 To make that revelation, God used the spiritual gift of the Word of Wisdom with Paul, and worked through the vision to Peter at Joppa concerning unclean animals (10:9, page 1718 through Acts 10:48, page 1721), which may be an example of one way God communicates the Word of Wisdom through a vision. Please keep in mind that Paul told the Galatians that he received the Gospel by direct revelation from God (Galatians 1:12, Page 1819). Through Paul, God “brought to light what is the administration of the mystery of which for ages has been hidden in God who created all things, so that the manifold wisdom of God might now be made known through the church to the rulers and authorities in the heavenly places” [emphasis added] (Ephesians 3:9-10, pages 1829-1830). 9. The Mystery of Christ and the Church. Also to the Ephesians, Paul wrote about the great mystery of Christ and the church (Ephesians 5:32, page 1833). This mystery concerns the way that Christ is the Head of the church, and lives as the Savior of the body of Christ, in the same way that a woman submits to her husband (Ephesians 5:22-23, page 1833). In that way, the church should be submissive to Christ (Ephesians 5:24, page 1833). Furthermore, Christ loved the church and gave Himself up for her, so that He might sanctify the church, having cleansed her by the washing of the water with the word (Ephesians 5:25-27, page 1833). Christ intends to present the church to Himself in all her glory, having no spot or wrinkle or any such thing, but that she would be holy and blameless (Ephesians 5:27, page 1833). Christ loves the church (His body), and nourishes and cherishes her, because believers in the church are members of His body (Ephesians 5:28-30, page 1833). The church began at Pentecost, when Jesus baptized the believers in the Holy Spirit and so constituted a new assembly of believers called the church (Matthew 3:11, page 1504; John 14:16, page 1685; Acts 1:4-8, page 1699; Acts 2:1-13, pages 1700-1701; 1 Corinthians 12:13, page 1797). 10. The Mystery of the Gospel. Also to the Ephesians, Paul revealed the mystery of the Gospel and requested prayer for His preaching of it (Ephesians 6:19, page 1834). As Paul taught, the Gospel consisted of the glad tidings of Christ dying for sinners, and being raised from the dead by the power of God, all according the Scriptures (1 Corinthians 15:1-4, page 1800). For everyone who believes in Christ and receives forgiveness from Him, it is the power of God for salvation, to the Jew first and also to the Greek (Romans 1:16-17, page 1758). 11. The Mystery of Christ in the Gentiles. To the Colossians, Paul preached the mystery of Christ in the Gentiles, the hope of glory (Colossians 1:27, Page 1842). Paul told them that God willed to make known to His saints the riches of His glory, that Christ would be in them. This knowledge had been hidden from the past ages and generations, but now has been manifested to His saints (Colossians 1:25-27, page 1842). 12. The Mystery of Christ Himself. Also to the Colossians, Paul unveiled the mystery related to the full assurance of understanding God’s message, resulting in a true knowledge of God’s mystery, which is Christ Himself (Colossians 2:1-2, page 1842). In Christ are hidden all the treasures of wisdom and knowledge (Colossians 2:3, page 1842). So we see again this pattern of the mystery of God being linked directly to the wisdom and knowledge of God, just as the spiritual gifts of wisdom and knowledge are linked as spiritual gifts of the same kind in 1 Corinthians 12:8, page 1796). Paul considers Himself imprisoned for his speaking forth the mystery of Christ (Colossians 4:3, page 1845). 13. The Mystery of Lawlessness. To the Thessalonians, Paul warned of the mystery of lawlessness (2 Thessalonians 2:7, Page 1852). This mystery concerned the future and the apostasy preceding the Day of the Lord. Before the Day of the Lord, the man of lawlessness must be revealed. He will oppose and exalt himself above every so-called god or object of worship, so that he takes his seat in the temple of God, displaying himself as being God (2 Thessalonians 2:1-4, page 1852). This mystery of lawlessness is already at work, but is restrained in the present. In the future, when this restrainer will be taken out of the way, he will be revealed. Finally, the Lord will slay him with the breath of His mouth and bring an end by the appearance of His coming (2 Thessalonians 2:8, page 1852). 14. The Mystery of Faith. To Timothy, Paul wrote about the mystery of faith (1 Timothy 3:9, page 1856). Deacons must be men of dignity, holding to the mystery of the faith (1 Timothy 3:8-9, page 1856). The Bible describes faith as the “assurance of things hoped for, the conviction of things not seen” (Hebrews 11:1, page 1882). By faith we not only receive Christ, but the righteous shall live by faith (Romans 1:17, page 1758 ; Galatians 2:20, page 1821). 15. The Mystery of Godliness. To Timothy, Paul also spoke of the mystery of Godliness in the life, death, resurrection and glorification of Christ Jesus, and the spread of faith in Christ among the nations (1 Timothy 3:16, Page 1856). Paul declared: “He who was revealed in the flesh, was vindicated in the Spirit, seen by angels, proclaimed among the nations, believed on in the world, taken up in glory” (1 Timothy 3:16, page 1856). Paul proclaimed this mystery as a matter of common confession (1 Timothy 3:16, page 1856). 16. The Mystery of the Seven Stars. In the Book of Revelation, Jesus revealed to John the mystery of the seven stars. Jesus revealed that the seven stars John saw were in fact seven churches (Revelation 1:20, page 1915). Jesus again reveals Himself, and explains the destiny of the seven churches of Asia Minor. 17. The Mystery of the Finish. Also in the Book of Revelation, God revealed the finish of the mystery of God, as He preached to His servants the prophets (Revelation 10:7, Page 1925). We see that some mysteries pertain to events today, and some mysteries pertain to events still future. In all cases, the mystery focuses upon knowledge revealed today, for our glory and understanding. 18. The Mystery of Babylon the Great. Also in the Book of Revelation, God revealed the mystery of Babylon the Great, the Mother of Harlots and of the abominations of the earth (Revelation 17:5, page 1933). God devoted more than two chapters to the destruction of Babylon, and disclosed the mystery of her identity and destruction (Revelation 16:17-19:6, pages 1933-1936). He speaks of the mystery of the woman and of the beast that carries her, which has the seven heads and the ten horns (Revelation 17:7, page 1934). This judgment upon Babylon, and the related mystery of the woman and the beast, remains yet future, but God wants us to know about it now.